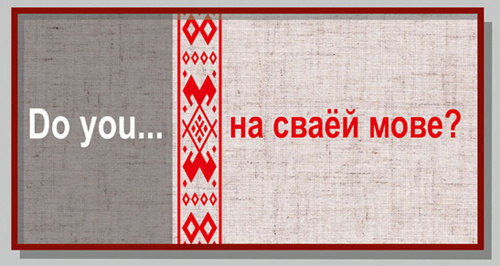 The Anglo-Belarusian Society cordially invites its members and friends to join our annual Mother Language Day Celebration. This year it is organised this year with the participation of the Belarusian Sunday School and the Francis Skaryna Belarusian Library and Museum. The event was inaugurated by the late Vera Rich to mark UNESCO Mother Language Day involving poetry reading in all languages particularly Belarusian and English. The celebration takes place on Saturday, February 20th 2016 from 2pm at the Belarusian Religious and Cultural Centre (Marian House, Holden Avenue, London N12 8HS). 2-3pm – Children’s section. 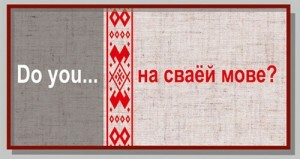 Short poems, stories, or just chat – whatever they would like to do to show off their Belarusian. All children are welcome to participate whether part of the Belarusian school or not and there will be small gifts for all who read. 3 pm – Adults’ section. Read your favourite poem – original works or old favourites of your choice in Belarusian, English, Scots etc (no need to learn by heart!). There will be a prizes for the best readings. Refreshments will be provided throughout. Contributions of food and drink are very welcome. Entry to the event is free for ABS Members and in order to help cover costs, non-members will be asked to contribute £5. This entry was posted in ABS and tagged belarusians in the uk, london, mother language day, дзень роднай мовы, лондан. Bookmark the permalink.